and then add the broadsword techniques which the shield usually accompanies. Suitable for those with some Tai Chi experience, or experience of a related art. 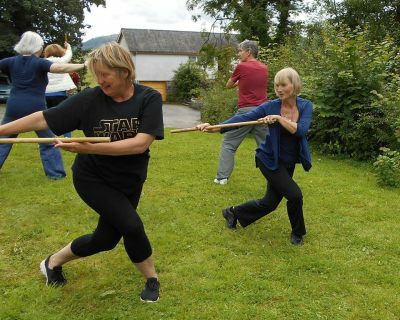 The type of shield used for this training is a lightweight bamboo wushu shield. Advance booking essential, because of the numbers of shields available. Bring a packed lunch; drinks, fruit & biscuits provided. A journey through 4 directions represents the freedom and ability to take any direction in life. Each day we will learn a different short movement form. These travel round the compass points and are both dynamic and graceful. The sequences consist of open hand work and sword play. whilst increasing awareness of self, centre and others. 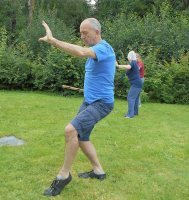 The programme will include related Qigong exercises along with solo and partner work. £160 for the 4 days (non residential). All equipment will be provided as will refreshments each day but please bring your own lunch. There is a wide range of holiday accommodation nearby, from luxury hotels to camping. Contact us if you need advice on where to stay. 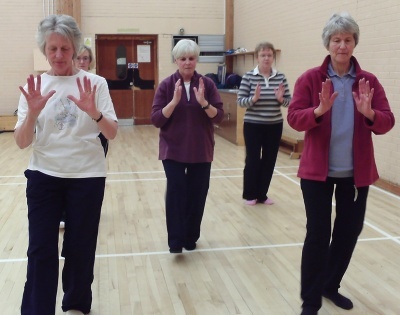 Our aim is to provide a balanced practice using t'ai chi principles that can be applied to all areas of life. 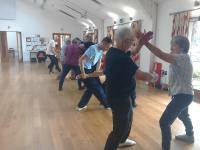 A friendly welcome assured to beginners who would like to try Tai Chi or Qigong. 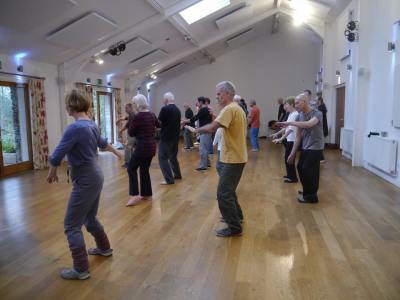 Tai Chi and Qigong Forum for Health. - and the other teachers who are listed on this website. 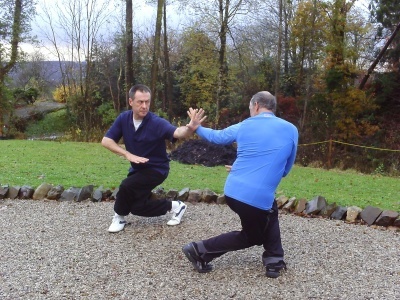 and skills in Tai Chi and Qigong. each with more than ten years experience. Steve's to those in the Ambleside and Windermere area. ​David's to those in the Lancaster area. Our teachers are members of the TCUGB and are fully insured. 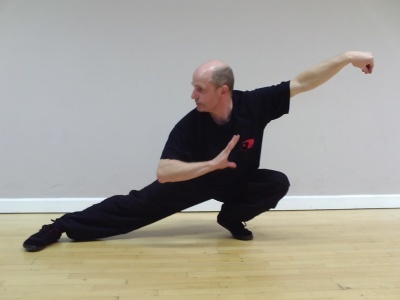 John Bolwell has a particular interest in tai chi weapons, and teaches sword, sabre, broadsword, staff, halberd, spear and fan, as well as double weapons and some lesser known tai chi weapons such as the flute. Contact us if you want to know more. This Form was brought back from China in the 1970's by Danny Connor. Click to read more about it. Practice of movements from the form on one of our Partnerwork days. 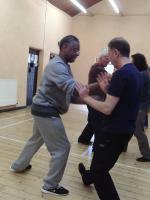 Guest teacher Allen Pitman during a Wisdom of the Body and Bagua seminar.